NIS America has announced a new crossover DLC character for SNK Heroines: Tag Team Frenzy. Skullo Mania from Fighting EX Layer joins the fray and will be available for purchase on October 11. 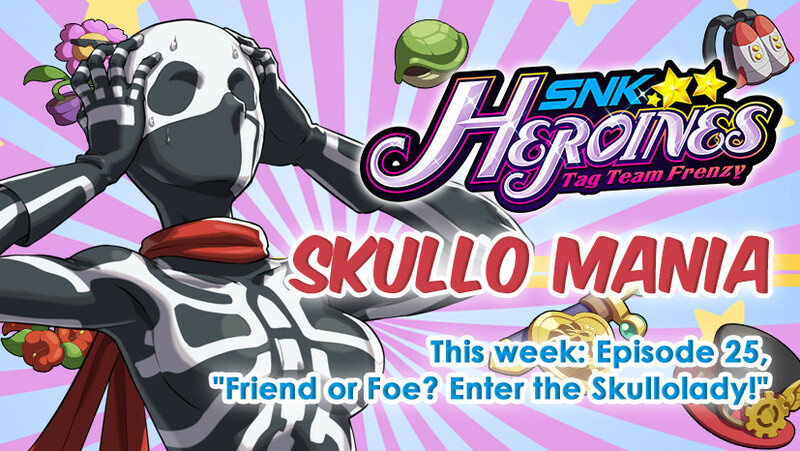 You can check out Skullo Mania’s character reveal trailer below. SNK Heroines: Tag Team Frenzy is available now for PlayStation 4 and Switch. Skullo Mania will be available for purchase on October 11, 2018 via the PlayStation Store and Nintendo Switch eShop.